Deogracias R. Peña, MD, is an internationally recognized pediatric nephrologist and the founding physician of AdventHealth Medical Group’s first-ever pediatric kidney specialty practice in Central Florida. He is board certified in pediatrics and pediatric nephrology, a Certified Clinical Hypertension Specialist and Medical Director of Pediatric Nephrology at AdventHealth for Children in Orlando. 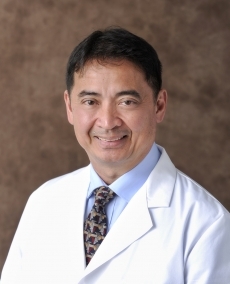 Dr. Peña earned his medical degree at the University of the Philippines College of Medicine. He completed his post-graduate internship and pediatric residency at New York Medical College’s Lincoln Medical & Mental Health Center in the Bronx, and his clinical fellowship in pediatric nephrology at the University of Florida College of Medicine in Gainesville.